Available from March 31st, ResourceSpace v8.1 brings integration with Google Vision API. 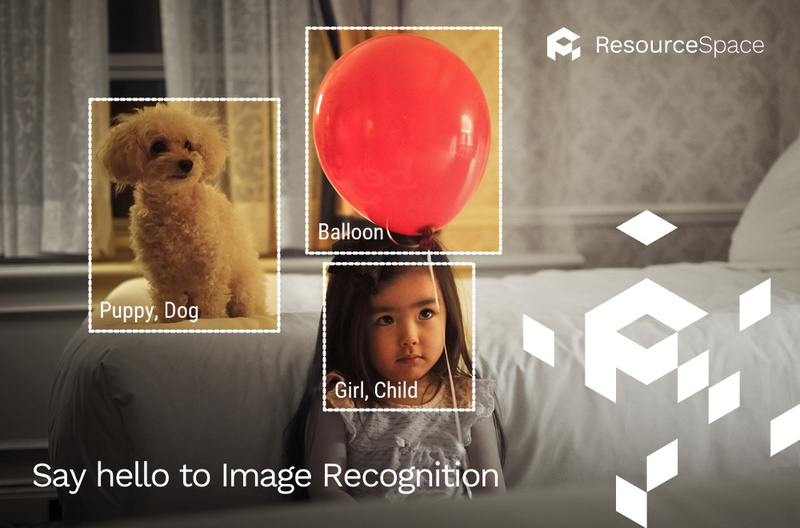 This recognition tool allows the objects, items, faces and places present in your visual media to be automatically detected, prompting appropriate keywords to be suggested. As well as this, any text that is identified can optionally be read to a separate field. This convenient integration ensures that ResourceSpace users spend less time manually tagging the content of their assets as they upload them. Within the new version of ResourceSpace, you'll be introduced to the 'My Actions' area. This central hub compiles all the tasks that require your attention - and when you complete an item, it's simply automatically removed from the list. In this way, you can keep on top of your workload, all through the easy to use interface of ResourceSpace. Last but not least, version 8.1 supports much faster download speeds for collections by allowing the streaming of downloads in the .TAR format. For organisations with very large collections of resources, ResourceSpace now makes it even easier, and quicker, to access the content you need, without interruption. Want a DAM system that stays ahead of the curve? Meet ResourceSpace. As a professional DAM solution, we're always coming up with the latest tricks to help you store and manage your content successfully. To try the features that can transform the way you locate and share your digital assets, start your free trial of ResourceSpace today. To talk to the team further about DAM or v8.1 of our software, simply get in touch.